We offer comprehensive tree services to keep your landscaping in top shape in Mooresville. At Top Notch Tree Services, we know that keeping your trees in great condition begins with having a professional team to handle your routine maintenance and the most pressing problems related to your trees. Fortunately, we offer comprehensive tree services for all your landscaping needs, whether you’ve experienced a limb falling due to a storm or you want to make sure your trees are in full bloom during the spring season. Storm Damage Cleanup – Not only do your trees suffer when there has been a storm, but your yard can suffer, too. If you require tree storm damage cleanup, our team will arrive to care for your trees and help restore your landscape. Tree Removal – Do you have a dead or dying tree in your yard that needs to be removed? Our tree services include safe tree removal that will leave your landscape looking its best. Tree Restoration – Broken limbs or areas of disease can affect the way your tree looks and thrives throughout the year. Our tree restoration services may solve some of these issues, so your trees are healthier again. 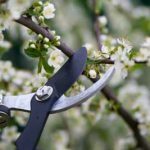 Trimming & Pruning – Some of our most important tree services are trimming and pruning because they should be done with care. We’ll schedule the ideal time for these tree services, so your trees look great year after year. Local Experts – At Top Notch Tree Service, we are your local tree experts in Mooresville, North Carolina. You can rely on our skilled and experienced team to keep your trees in their best shape, no matter their age, condition or the weather. Contact us today if you require tree services in Mooresville. We look forward to working with you!